ALBANY — A remorseful Joseph Percoco is telling a judge in a letter that he takes full blame for the corruption conviction for which he soon will be sentenced. “I have only myself to blame,” said Percoco, who was Gov. Andrew M. Cuomo’s closest confidant and deputy secretary before he was convicted in a bribery scheme while he was on leave from the office. “I failed to live up to my own high standards,” Percoco wrote federal Judge Valerie Caproni, who will sentence him. “I regret that I have brought shame and embarrassment upon my former colleagues. I regret the harm that I have caused my friends and family, who have stood by me throughout this process. 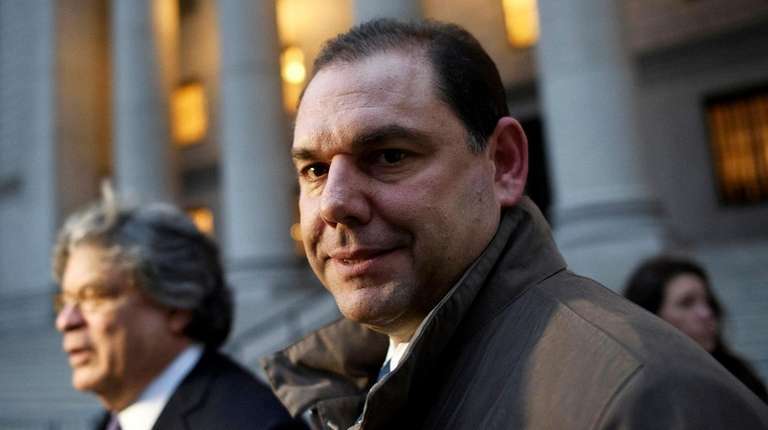 Percoco was found guilty of bribery and conspiracy in March. He was convicted of accepting bribes at times when he was off the government payroll from companies seeking to land state contracts. Cuomo wasn't accused of wrongdoing. Percoco told the judge he was lured by the private sector lobbying opportunity to provide his family "financial security. And, more importantly, after years of working around the clock, I would finally have the opportunity to send my daughters to school and to tuck them in at night." His sentencing, which was postponed until after the Democratic primary Thursday, is now scheduled for next Thursday.